Warning: you might walk around your house trying to bite some of these. 1. A donut pillow (or a baker's dozen of 'em), because nothing says "my home is deliciously cozy" than a few of these scattered around. Get them from Amazon for $13.99+ each (available in 22 designs). 2. 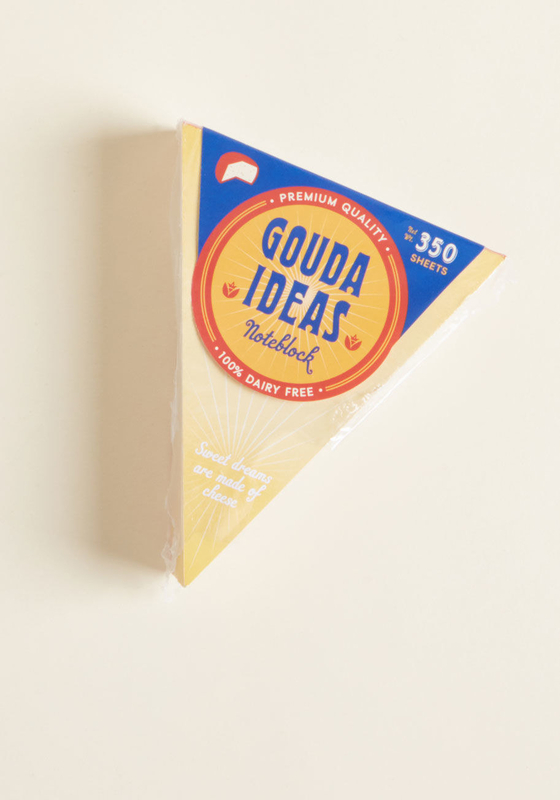 A Gouda-inspired notepad you can only write your all-dairy-all-the-time grocery lists on. Get them from Amazon for $9.95 or ModCloth for $10. 3. A set of pineapple string lights for tropical vacation vibes all year. Get two strands of 10 lights each from Amazon for $29.99. 4. 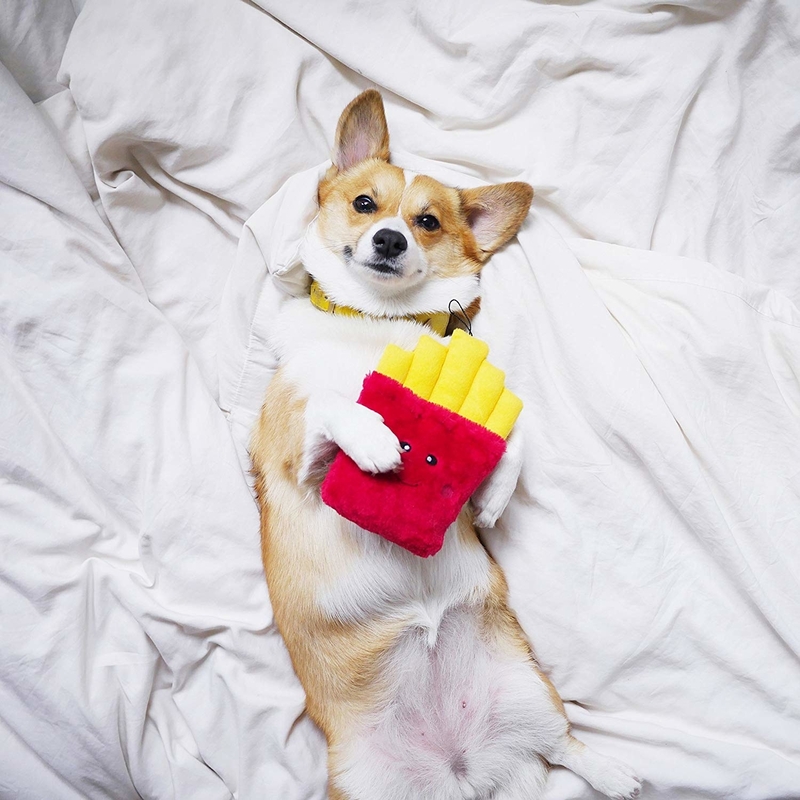 A plush squeaker toy so your small fry of a furry friend can enjoy a treat when you do. 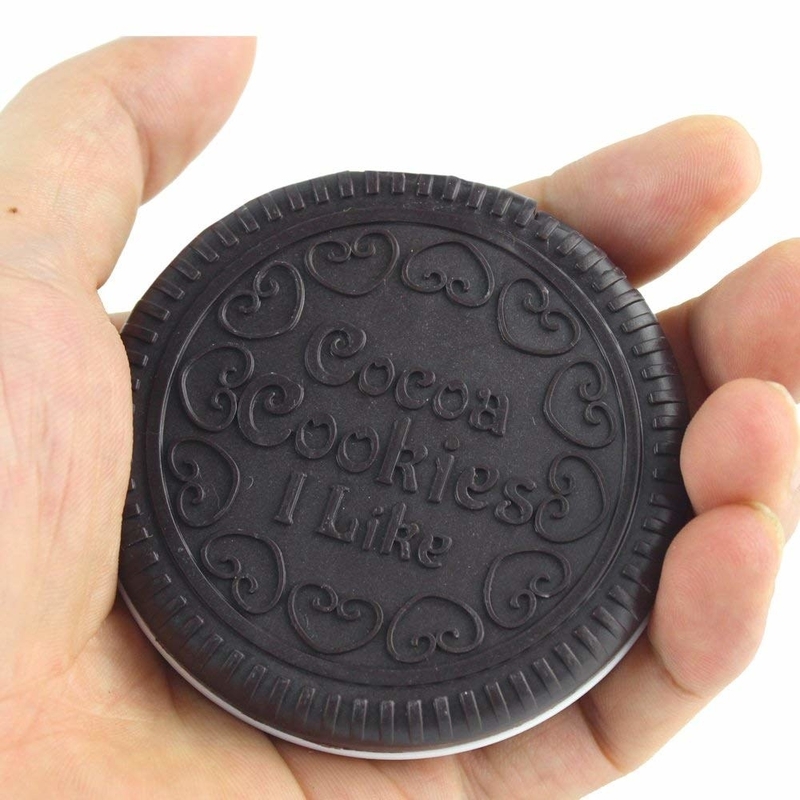 Get it from Amazon for $6.46 (available in 10 food shapes). 5. A celery-shaped snack container with two separate compartments (one for food, one for dip) to make your sad desk lunch a little cuter. Get it from Amazon for $5.99+ (also available in a carrot shape, plus green and red apple). Promising review: "" Fantastic for on the go snacks. Never leaks, easy to clean and care for. Holds a generous portion of dip and carrot sticks. Great buy!" —Mindy L.
6. Pizza friendship necklaces for the only people you'd share a pie with. Get the set of eight from Amazon for $9.95 (available in gold and silver; also available in a set of six if you have fewer besties). 7. 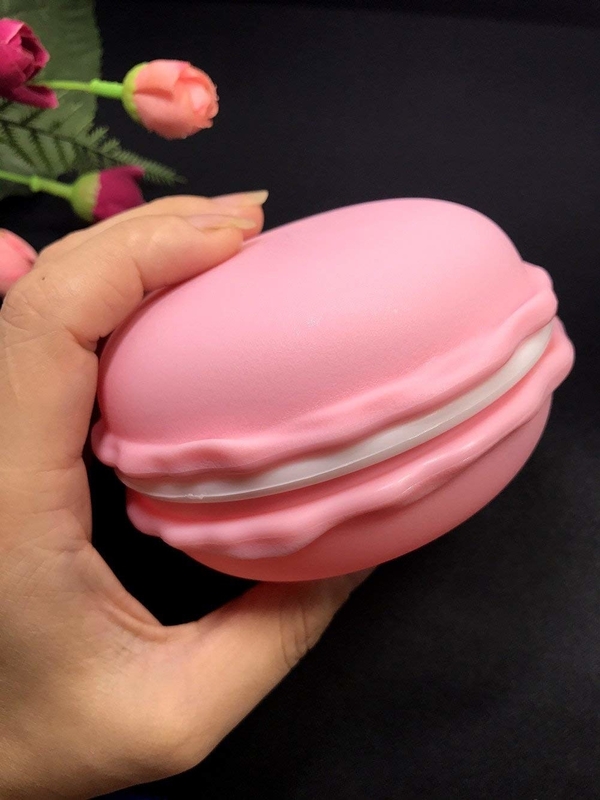 A set of macaron containers to store all your sweetest stuff in (think rings or on-the-go medication for the small ones, and earbuds, coins, and larger portables for the bigger size). Get them from Amazon: a set of six small ones for $5.99 or two large ones for $7.99. 8. Toasty slippers with a super-cushy foam footbed you should put on the instant you're feeling a bit chilly. Brrrrrr(ger)! 9. A light-up fruit you're sure to be peachy-keen on when you use it to light the way to the bathroom at night. 10. A baguette wrist rest (b)ready to cushion you for all-day desk comfort. 11. 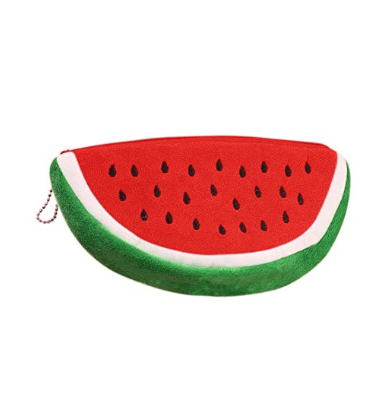 A fuzzy watermelon zip-top pouch for all your on-the-go needs. Getting a papercut might be a little ~sweeter~ with this as your first aid kit. 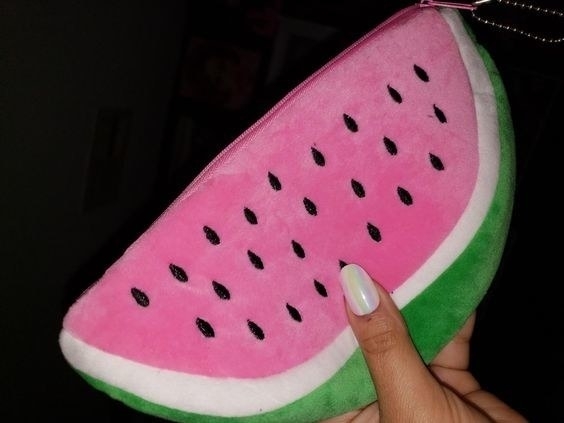 Get it from Amazon for $2.41 (also available in red). Promising review: "Impulse buy! It was so inexpensive and cute. It’s super-soft, and bigger than you’d think, so you could put lots of things in it! I love how it feels and it’s such a pretty pink." —Af F.
12. A gummy bear nightlight to inspire only the sweetest dreams. Get it from Amazon for $29.99 (available in five colors) or Urban Outfitters for $30 (available in three colors). 13. 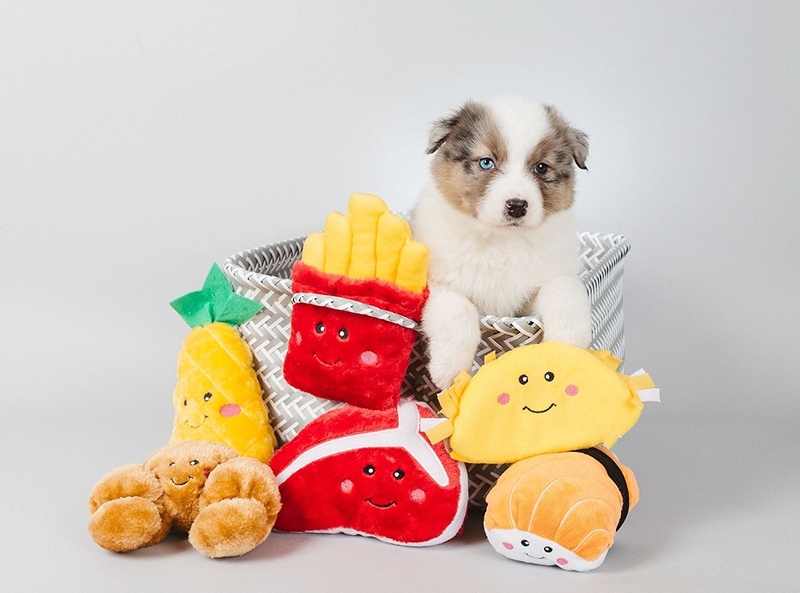 A spud-shaped squeezable stress toy that'll be almost as relaxing as eating a bowl of mashed potatoes. 14. 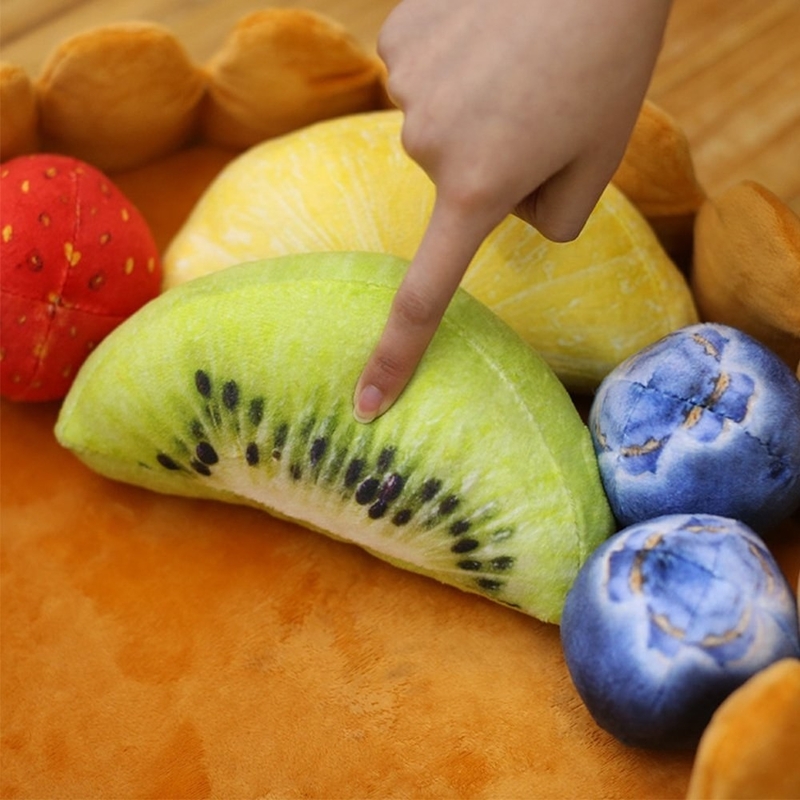 A pet bed shaped like a tart (complete with foam fruit toys!) that'll be your very good boy or girl's ~just desserts~. 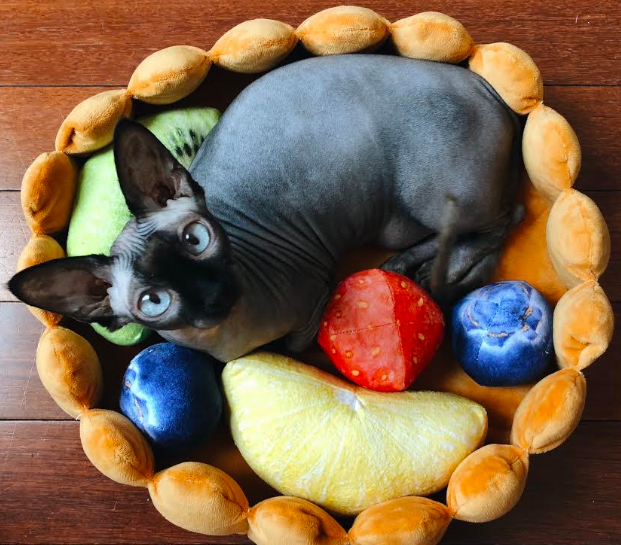 ^That hairless cat^ belongs to one of our writers — and she has (and loves) this pet bed IRL! Check out her review in this post of random things we really love. Get it from Amazon for $26.99 (also available in a hot dog version). 15. A cherry measuring spoon set to make baking a little more fun, even if you think cleaning up is ~the pits~. Get them from Amazon for $14.60. 16. 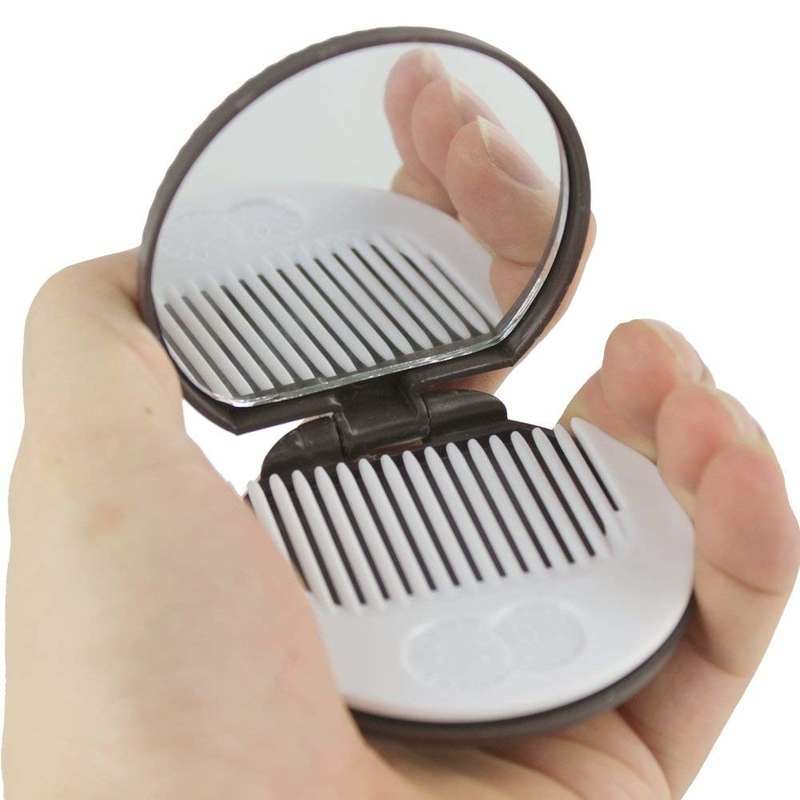 A compact mirror (and cream-colored comb) inspired by your favorite Hydrox knock-off. 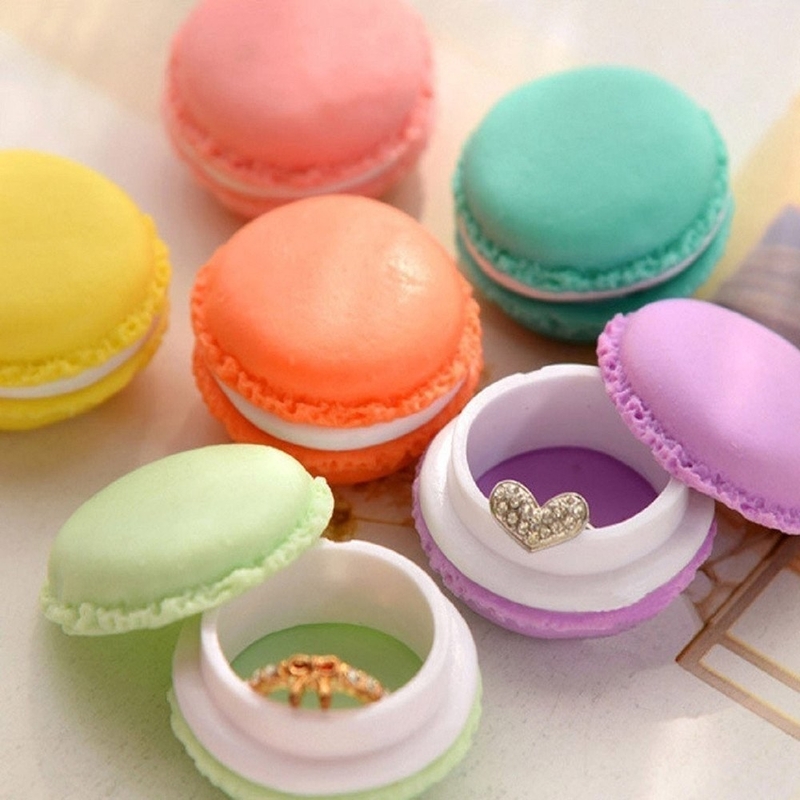 If you always keep a treat in your purse, this is for you. Is the comb the highest quality comb you'll ever buy? No. Will you smile every time you pull this out of your purse to check your lipstick? Absolutely. 17. A shrimp neck pillow you'll feel ~shellfish~ about when someone asks to borrow it. I bought this exact pillow as a gift, and it looks great (and is super soft) in person! 18. Or a croissant that will never flake on you during the longest international flights (aka when you're going to Paris to eat more croissants!). 19. A deep-conditioning Tonymoly hair pack chock-full of vitamins, nutritious oils, and shea butter to make your hair softer than ever. Get it from Amazon $16. 20. 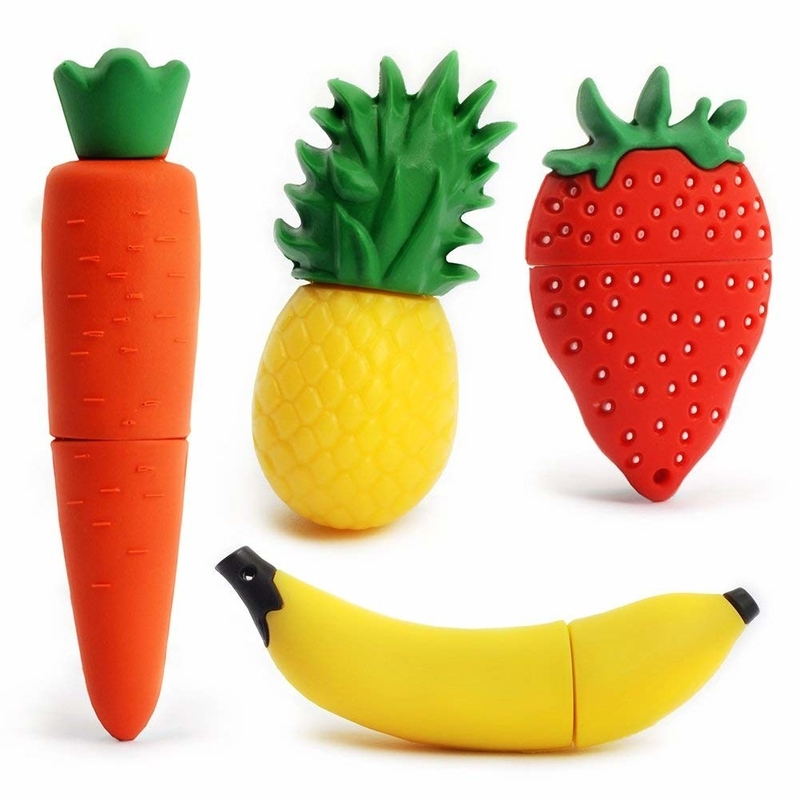 A set of four fruit-shaped flashdrives to add a little extra flavor to any group project. Get a pack of four from Amazon for $28.99. 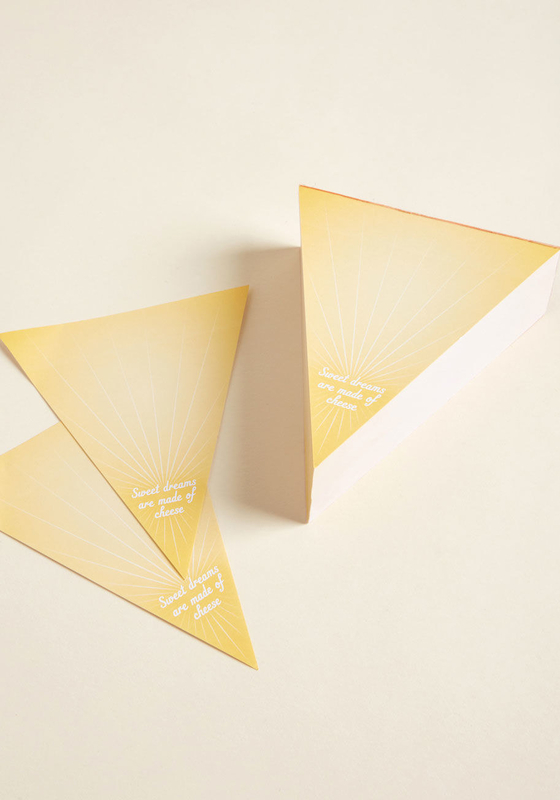 Also available in four other shape assortments. 21. A citrus crossbody purse that'll make your friends sour with jealousy. 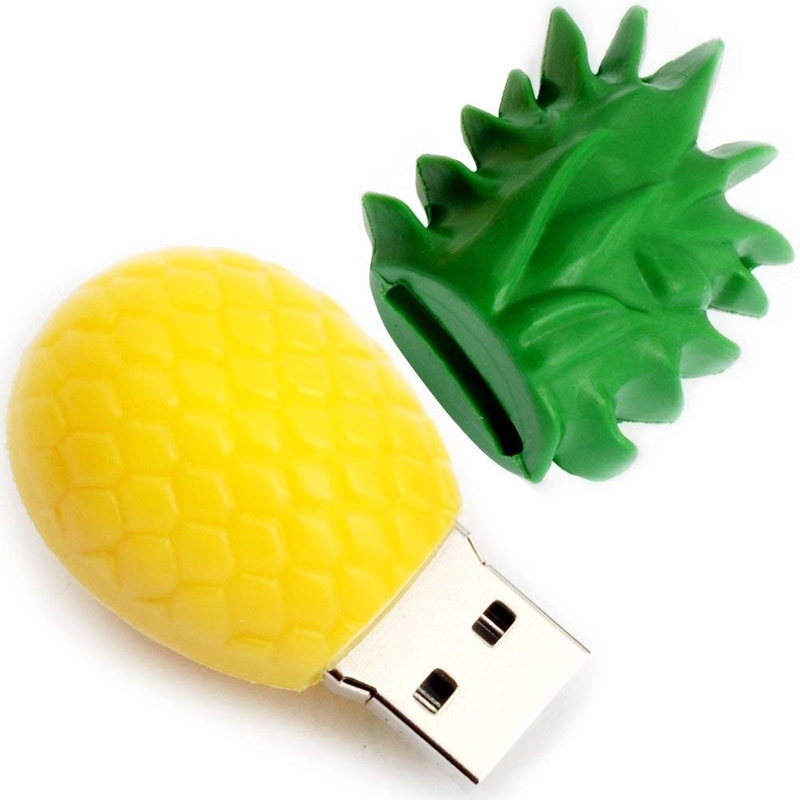 Get it from Amazon for $15.99 (available in 13 shapes, including banana, strawberry, and pineapple). 22. An enclosed pizza blanket to keep your feet as warm as melty mozzarella on your favorite slice. Queue up your current binge-watch, order your favorite 'za for delivery, cozy up into this, and live your best possible Saturday afternoon. 23. Or a surprisingly thick and soft tortilla blanket so you can wrap yourself up like the couch burrito you were always meant to be. 24. 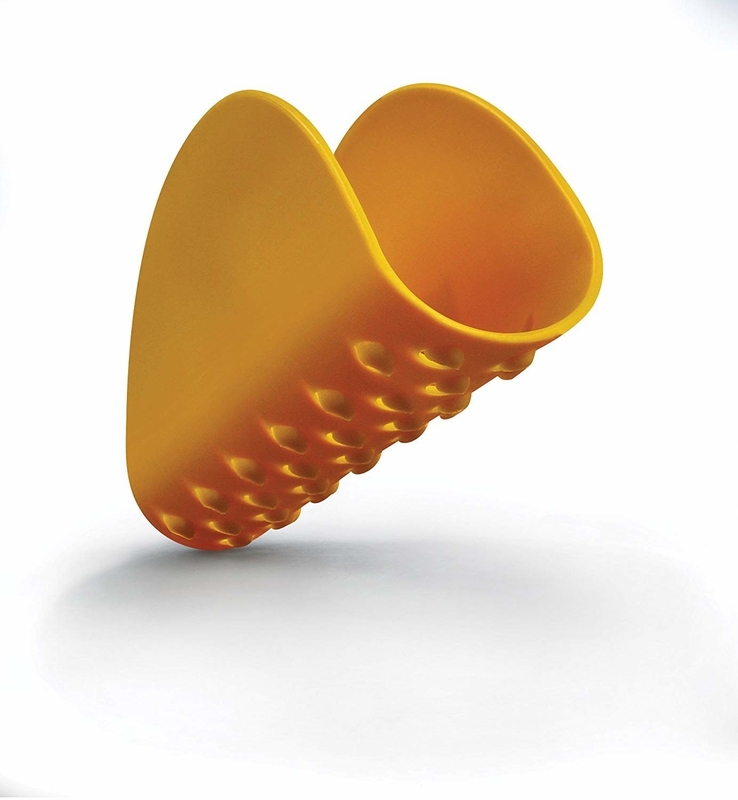 Silicone pot-holders that'll ensure a secure grip so boiling water doesn't farFALLe all over yourself. 25. A pair of hair eggcessories for anyone who thinks a runny yolk is the equivalent of molten gold. Get the set of two (one hair slide, one clip) from Amazon for $3.99. 26. A cheery rug that, unlike real avocados, won't turn from perfectly ripe to brown in approximately .0000005 seconds. Get it from BoxLunch for $24.90. 27. 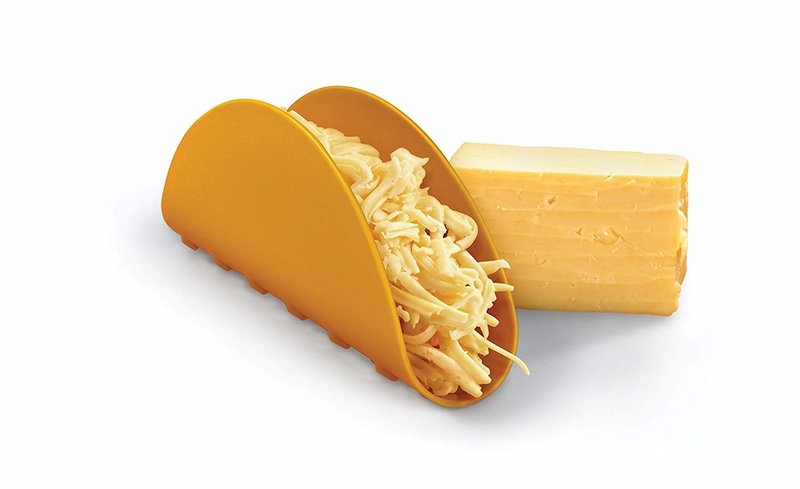 A taco-shaped cheese grater for a ~tortill-y grate~ way to shred your favorite blend. Yes it's a novelty, but the taco walls actually help guide every shred into your bowl! Get it from Amazon for $7.76. You can also shred it right into your mouth. Just a suggestion.